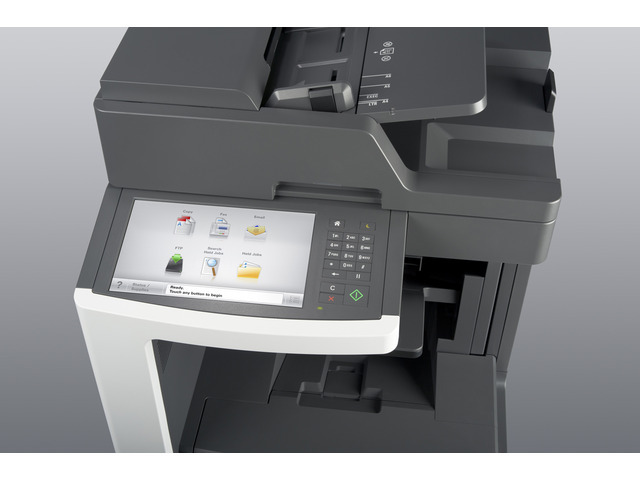 The Lexmark MX812dxe MFP with a customisable e-Task touchscreen, 500-sheet offset stacker, 2,750-sheet standard input, 1GB of standard memory and a 160+GB hard disk provides print, copy, fax, scan and email functions. With built-in double-sided printing and the ability to print on diverse materials, you can do more for your business and use less paper. 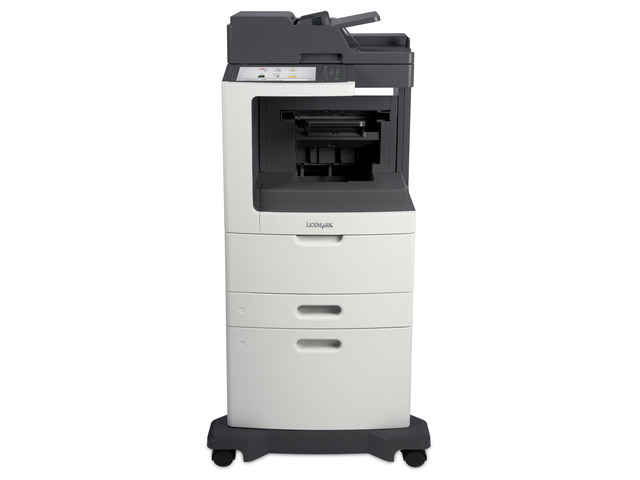 A vibrant, easy-to-use 25-cm (10-inch) class colour touchscreen provides access to pre-installed workflow solutions. 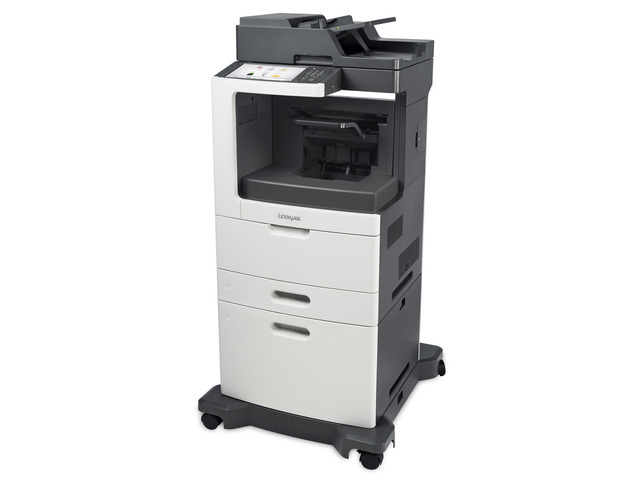 Easily print up to 100,000 pages per month, plus enjoy fewer maintenance hassles, thanks to state-of-the-art paper handling. 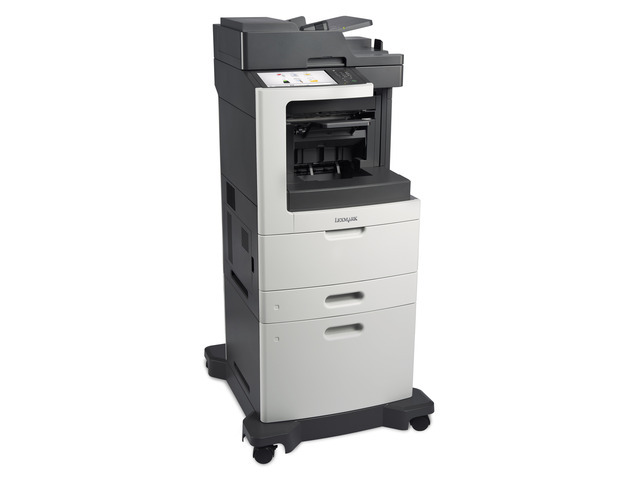 Enjoy print and copy speeds of 66 pages per minute, plus produce your first page in as little as 4 seconds and rapidly scan a double-sided document in a single pass.